Now is the time to snuggle up close to that special someone, or bundle up and do a fun outdoor activity with your significant other. The weather might be frightful, but having that right person next to you will certainly make any moment warmer. Tanner Densen, a student at the University of Utah, has found plenty of ways to spend time with his girlfriend during the cold months. Ice skating at the Gallivan Center is a very popular winter activity in the Salt Lake Valley. The center will be open for ice skating until March 3 with activities every day. Another exciting activity is going to see a theater show. Every December, Ballet West puts on a performance of “The Nutcracker” at Janet Quinney Lawson Capitol Theatre. The show will run through Dec. 30, with performances every day except Monday and Tuesday. Other places around the Salt Lake Valley host family-friendly events that are a great way to fill your evenings. Throughout the month of December, Utah’s Hogle Zoo will host their annual Zoo Lights display. Guests can enjoy over 200 light-up animals and holiday-themed displays. You can also warm up with a hot chocolate at the Beastro while you walk or relax on a bench and take in the Christmas scenery. 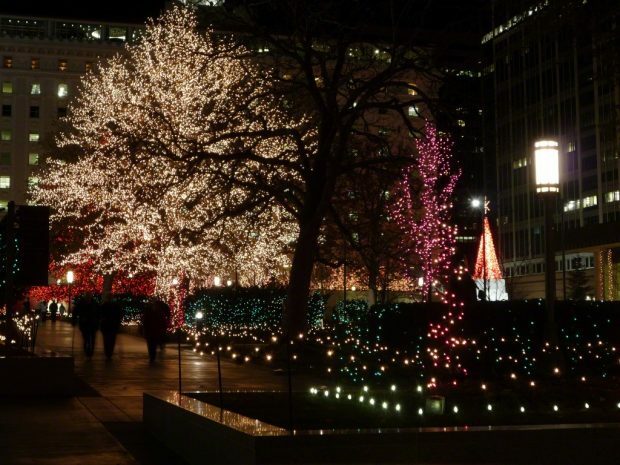 If you really enjoy Christmas lights, head over to Temple Square in Downtown Salt Lake City and walk around the temple grounds. The grounds are filled with many lights that are sure to brighten up your evening. Grab a hot chocolate and hold your significant other’s hand as you gaze at the beautiful trees filled with various hues of lights inspiring holiday cheer. For the outdoor enthusiasts, Utah is the place to be for skiing and snowboarding. Have a ski day with your date at one of the many gorgeous resorts in the state. Go to Visit Salt Lake for more information about other fun activities to do during this winter season.